Treats, candies, handmade goodies...the sky's the limit when it comes to holding delicious favors at your rustic charm baby shower. 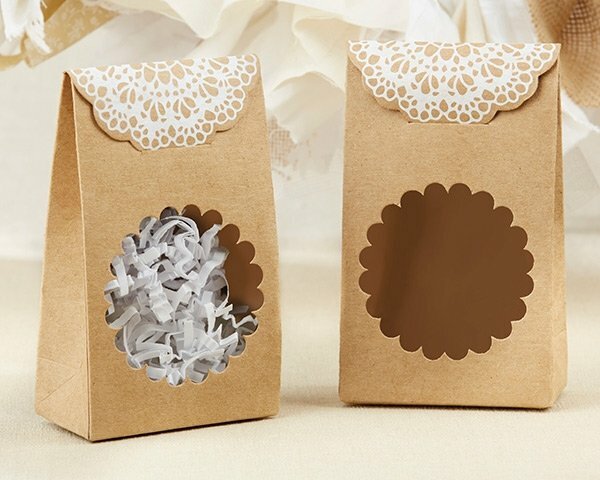 Kate Aspen's Rustic Kraft Tent Favor Box is perfect for doing just that. 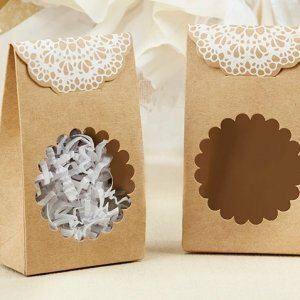 The Kraft paper and lace design is sure to delight!